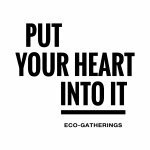 A thriving sustainable business designing events, hosting workshops, collaborating with artists and designers and creating unforgettable events in beautiful spaces. We Love Summer in Melbourne! Join the Ultimate Crafters Giveaway!